The determination of the three-dimensional structure of a biological molecule is the starting point in the understanding of molecular mechanisms involved in its complex biochemical reactions. The molecular architecture of multimolecular systems such as membranes and chromosomes provides the key to the fascinating field of molecular biology. Stereochemical details of biological macromolecules and their interactions with pharmacological agents form the basis for drug design. Naturally, the study of the structure and function of biological molecules has aroused tremendous interest and investigations in this area are being carried out in a large number of laboratories. 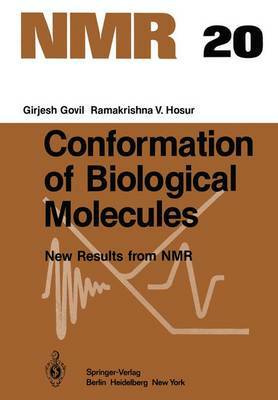 The techniques used for this purpose include both experimental methods (X-ray and neutron diffraction measurements, study of NMR, ESR, vibrational and electronic spectra, ORD, CD and dipole moment measurements, biochemical modifications etc. ) and the- oretical methods (quantum mechanical and classical potential energy calculations, Monte- Carlo simulations and molecular graphics). F or several years now, X-ray diffraction  has served as our only source of infor- mation on the three-dimensional arrangements of atoms in biopolymers. Fiber-diffrac- tion of DNA led to the proposal of the DNA double helix. Fibers of long~hain polymers show ordering in the direction of the fibre-axis but not in the transverse plane. Accurate estimates of the dimensions of helical structures can be made using techniques on the basis of which models of biopolymers can be constructed.